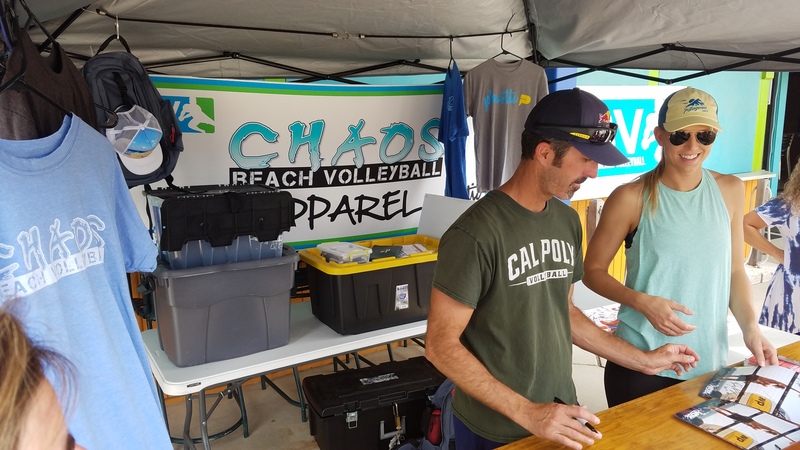 The third stop of the 2016 season landed NVL Pro beach volleyball in Columbus, Ohio, where we sat down with local NVL Pro Kaitlyn Leary. She’s a recent Ohio State University graduate and, while she is new to our pro tour, she has serious plans for her future with the league. You’re originally from Ohio. 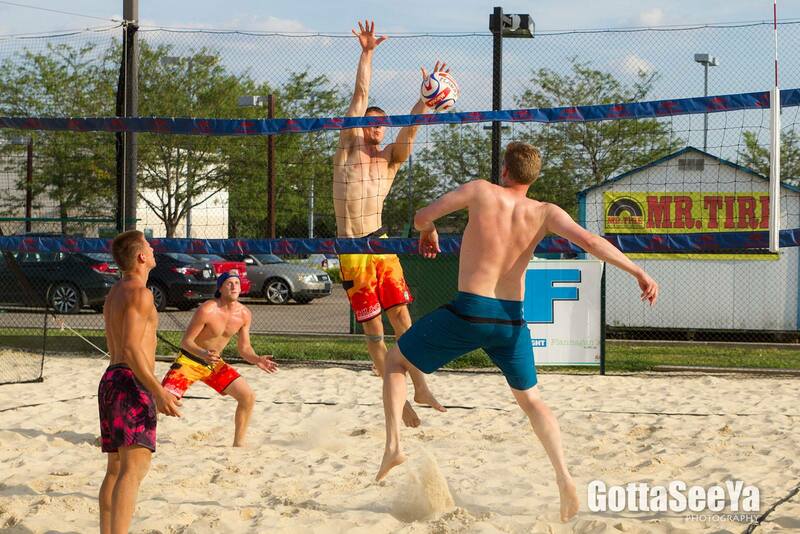 What was it like growing up here and how has beach volleyball in Columbus Ohio changed since you first started playing? The Ohio Valley Region has brought in a lot of strong indoor players and the beach game has finally grown for the youth in Ohio throughout the last couple of years. Growing up, my friends and I would play beach volleyball for fun, but there was not a lot of opportunity for the sport to grow in Ohio until just recently. Columbus and Cincinnati have been bringing in very strong beach players with all of the new facilities, teams, coaches, and competition that has developed. I wish that it had all existed when I was growing up! I think it is awesome for the kids and only improves their overall volleyball game and the future of the sport. How did you first get into the sport? Did you have a strong support system behind you? I started playing volleyball at a young age. I was really into sports my whole life and was always into one sport or another as a kid. I was really introduced to the volleyball game by my mom and older sister. I spent many years watching my mom and sister play as a kid and my love for the game grew. I have an amazing support system that has followed me throughout my entire college career. When I was in college, my family was at every Ohio State game and even made many trips down to Arizona and Gulf shores for my beach career. Tell us a little bit about your college volleyball career. I played indoor volleyball at The Ohio State University from 2010-2014. It was awesome to play in the Big 10, a powerhouse volleyball conference. My coaches and teammates were great and I was able to learn and grow as a player throughout my four years. I played outside hitter and received All-American awards, and once my four years were up, I knew I wasn’t finished. I decided to use my fifth-year eligibility to play beach volleyball for the University of Arizona for a year. It was an awesome year and I had great coaches that were able to improve my game in one short year. I went on to receive All-American with my beach partner Madi Kingdon. We competed at Beach National Championships in Gulf Shores, Alabama and finished in the final four. It was an honor to represent the team there. After college, why were you drawn to play with the NVL over other professional leagues? I was ecstatic to see that the NVL was traveling to Columbus, Ohio this year! I played in the Cincinnati NVL tournament last year and loved how the tournament was run. The competition was strong and the tournament was well organized, and I’ve met some wonderful people on the tour. It is made up of a great group of people that truly make this league a success. What struggles have you overcome throughout your volleyball career? One of my biggest struggles was the transition from indoor to beach volleyball. I have loved every part of the transition, but it wasn’t always easy. I went from being completely comfortable and confident, feeling I was one of the top indoor players, to a new person learning the beach game. There was an adjustment period, but I enjoyed the process and am thankful I was given the opportunity to train and compete for a year in beach volleyball at such a high level. Tell us about your proudest career moment to date. My proudest volleyball moment was playing in the Final Four at Gulf shores Alabama vs. USC’s Sara Hughes and Kelly Claes. The pair’s tournament had awesome competition and my partner and I were honored to compete and earn the University of Arizona’s first ever All-American beach volleyball awards. What is your number one driving force to better yourself? My number one driving force is my family. I am extremely close with them. They have supported me throughout my entire journey in everything I do, including volleyball. My goal is to make them proud. Unfortunately, my dad passed away a little over a month ago from heart failure at a very young age. He was very sick for many years and needed a heart transplant. My family and my dad are my driving force. I know he would be proud that I am still competing because he loved to watch me play. We’re so sorry for your loss. It’s fantastic that you are back out on the court making your family proud. What’s up next for you in terms of your volleyball career? I had a blast at NVL Midwest in Columbus and I definitely plan to continue following the tour. It was so nice to have the tournament here in Columbus where I am living because my family and friends were there to cheer me on. I am in graduate nursing school at Ohio State so my goals are to play in as many future NVL tournaments that my schedule allows me to, including Hermosa Beach in August. We’re looking forward to seeing you there! As far as the future, what do you hope to see on the horizon for beach volleyball? I hope that the game of beach volleyball in Columbus, Ohio and across the Midwest continues to grow. The growth that I have seen in just the past few years is amazing and I hope that clubs, facilities, players, and coaches continue promoting beach volleyball. It is a fun game and has so much to offer!